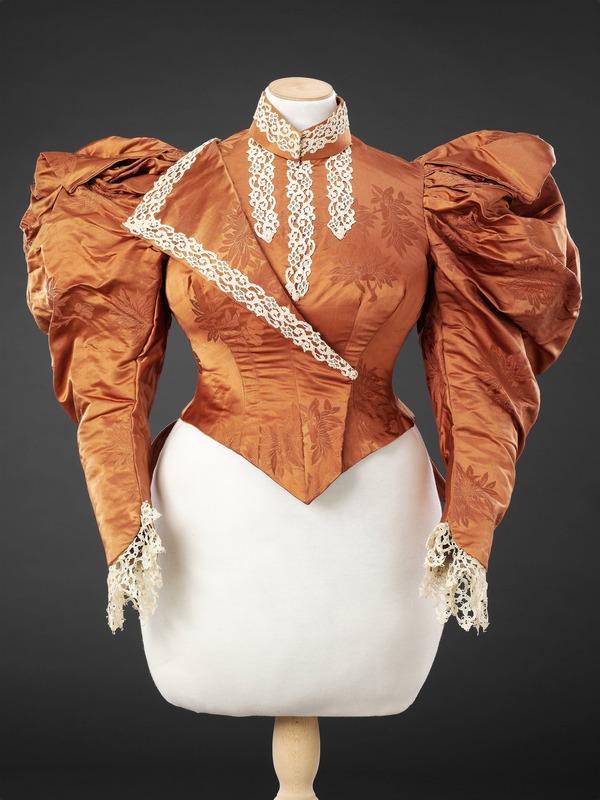 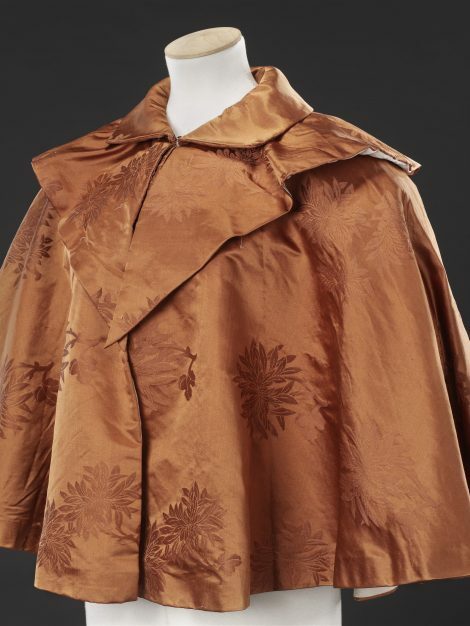 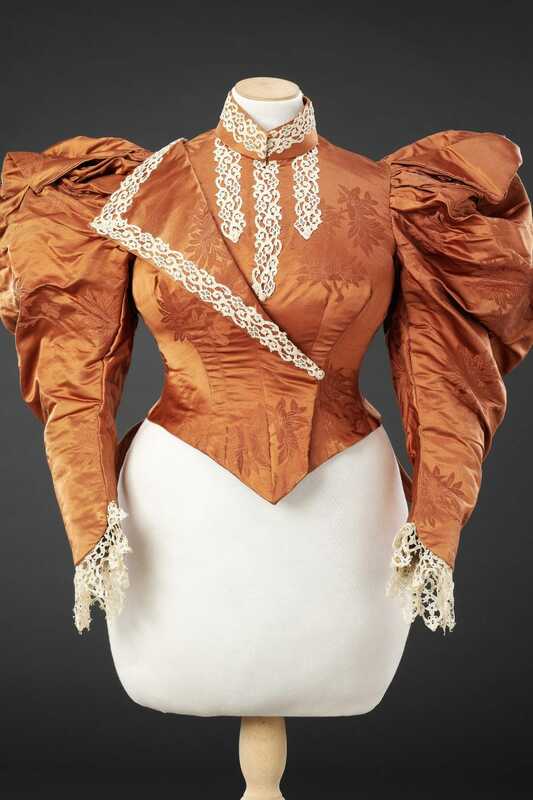 Although this bodice has lost its skirt it has been included on the website to show a number of characteristics of mid 1890s fashionable dress: the asymmetry of its one lapel (though a pair was also common); the full-blown leg of mutton sleeves, based on those of the 1830s, and its silk, self-patterned with oriental flowers on a satin ground. 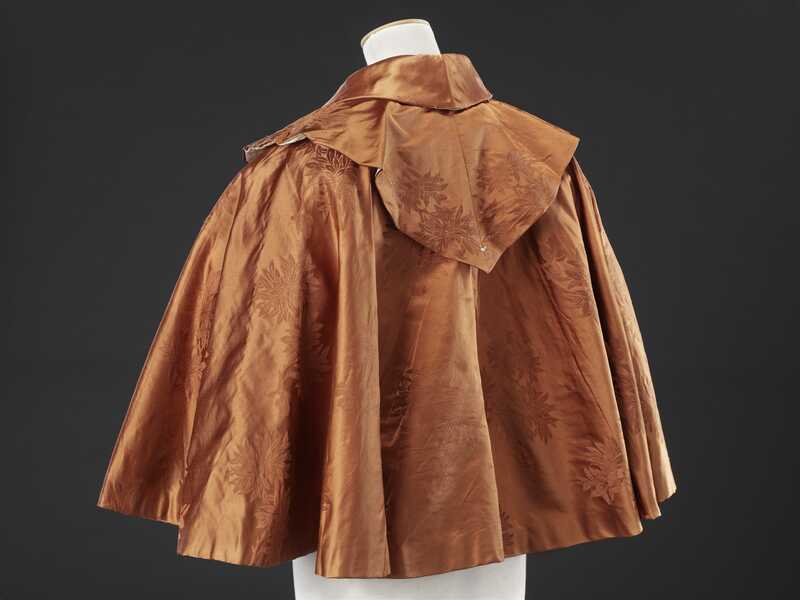 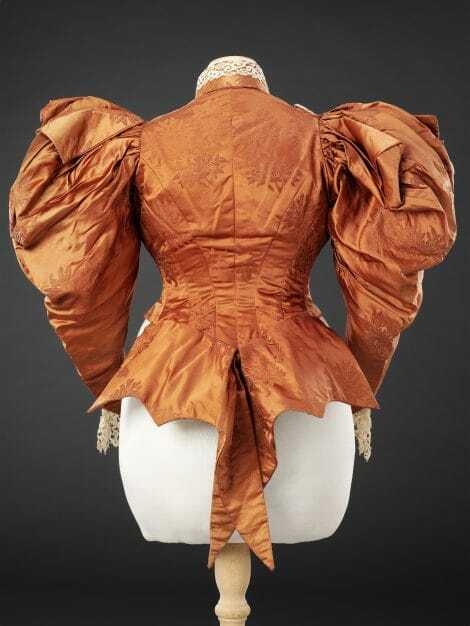 The sleeves have been cut to form a pair of wings on each shoulder, now less evident with time, emphasising their width, and the extension of the back of the bodice is reminiscent of the bustle back of the 1880s. 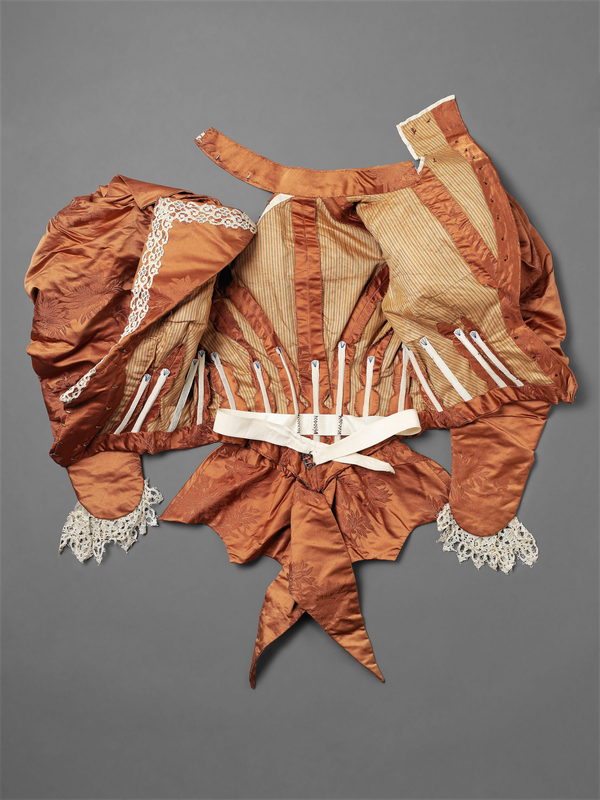 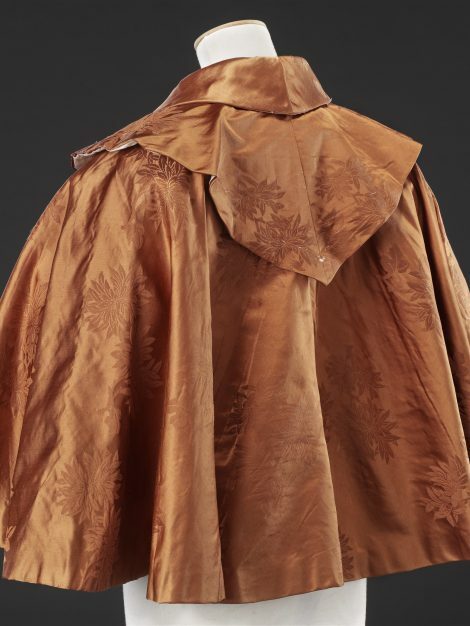 The bodice may have lost its skirt, but it retains a matching short cape which unfortunately has been stripped of its lace trimming by a previous owner (see Additional Images). 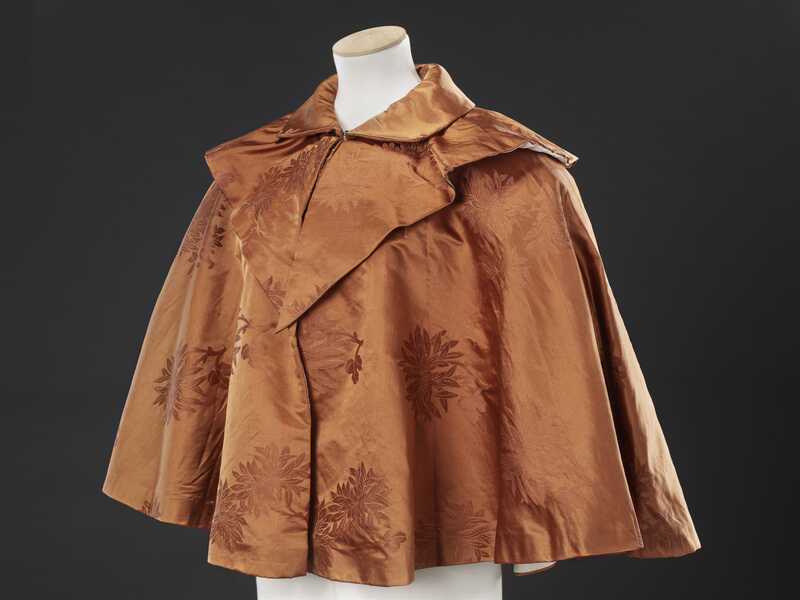 The two items were probably part of a three piece outfit which could have been worn outside on a mild day. 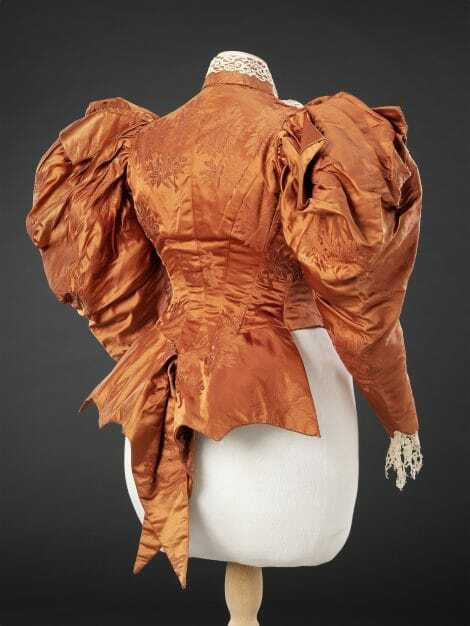 The overall effect is one of full-blown opulence, formality and maturity, and perhaps a touch of vulgarity.